Our calendars say we are four weeks into spring but we had snow flurries April 16 in Bedford County and the first spring purple asparagus has yet to poke from our asparagus beds. I’ve not done much mushroom hunting yet but I bet the morels will be a bit later than usual this year as we wait for spring temperatures and moisture to arrive for good. When we do finally get our flush of morels and asparagus, this frittata is a great way to enjoy the tastes of spring and the rich orange yolks of spring eggs together. 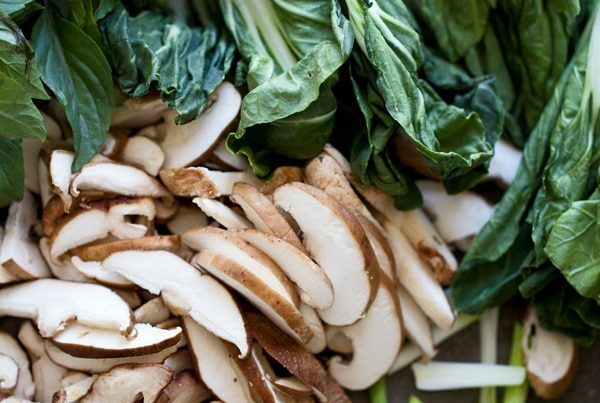 Add any fresh spring greens from the garden or lawn- spinach, chard, dandelion greens, chickweed or plantain. 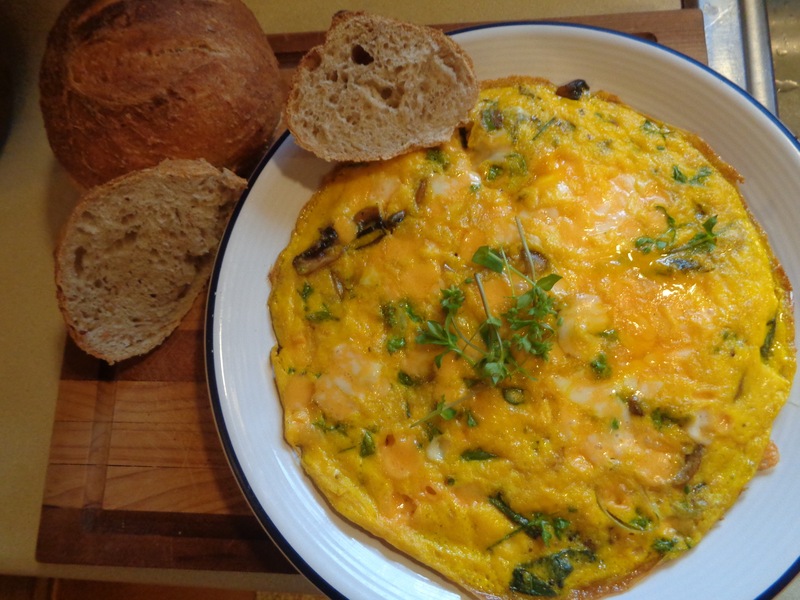 A frittata can be on the table in about twenty minutes, an excellent warm meal for those of us finding that we are in the thick of growing season duties already. 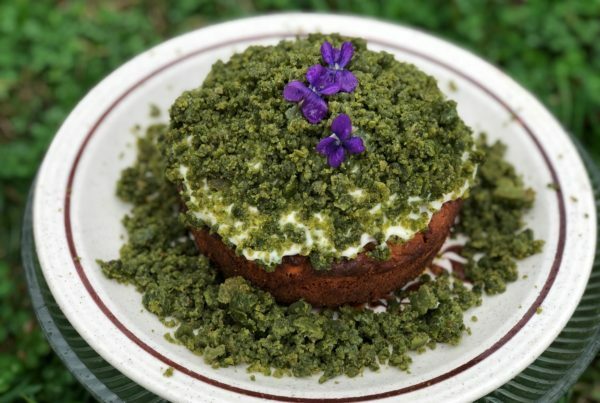 Many VABF members will be able to source this whole meal from their backyard foraging and a few laying hens. Frittatas are usually made in a round 10-12 inch skillet. Preheat oven to 350 F degrees. 1. Crack 8 eggs into a bowl, add the milk, whisk, then add chopped fresh herbs to the whisked eggs and mix. Set eggs aside while you prepare the filling. 2. Heat the skillet over medium heat. 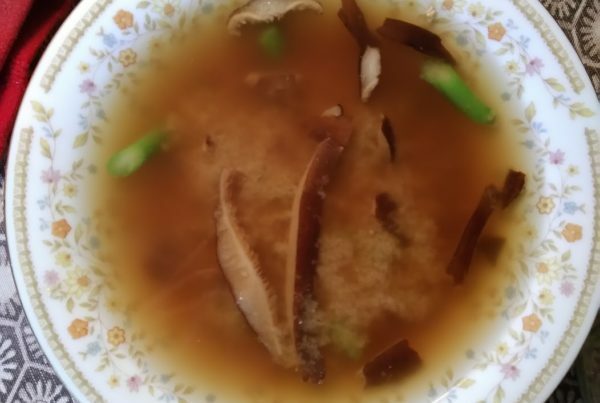 When hot add 2 TBSP bitter, bacon drippings or lard. 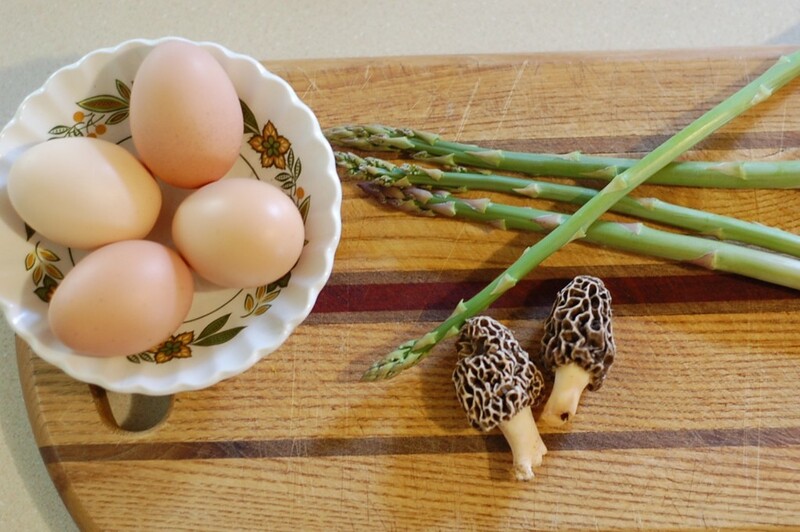 Add washed and halved morels and the asparagus to the skillet and cook on medium for 4-5 minutes. 3. Add the spinach leaves and cook, stirring frequently for 2-3 minutes more. 4. If you’d like, add 1/2 cup grated cheese to the top of the ingredients in the pan. 5. Keep the heat at about medium on your skillet. Add about 1/2 teaspoon salt to the egg/ herb mixture and stir, then gently pour the egg mixture over the ingredients in the pan. Lightly swirl the pan so that the eggs coat the ingredients and the edges of the pan. Cook about 2-3 minutes until the edges of the eggs begin to set. Remove from the stovetop. 6. Bake in the 350 F degree oven until the eggs are set. 7. 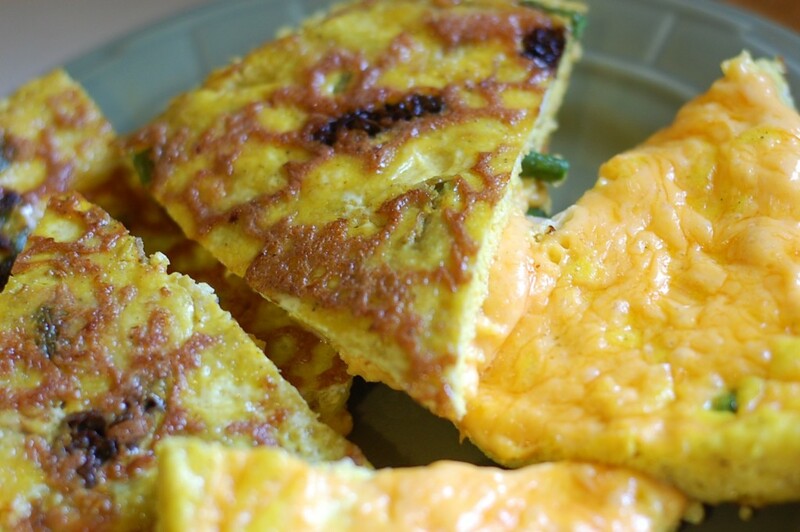 Remove from the oven and cut the frittata into pie-shaped wedges and serve immediately.